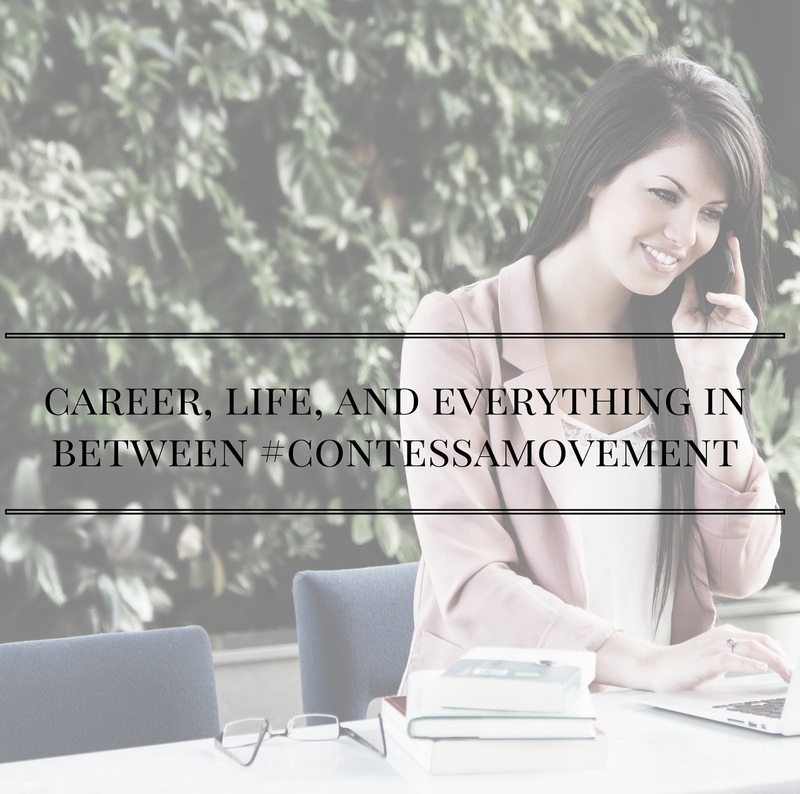 If there's one site I know that I can always turn to for spot on advice and resources for anything from productivity to wellness and especially to career, it's Career Contessa. You are in for a real treat if you haven't yet heard of CC! There are a variety of types of articles as well as a hub for job opportunities. One of my favorite aspects of the site is interviews with "Contessas" who are passionate and influential career women. There's nothing like hearing advice from people who have been through what you are experiencing and achieved what you desire. AJF: Career Contessa has become a go-to source for career advice, life inspiration, and everything in between for so many driven women. Can you tell us a little bit about how the site started and got to this amazing point? SM: Lauren McGoodwin, our founder, started Career Contessa as a passion project when she was unhappy with her own job. She knew that she had a lot of ambition, but was lacking the direction to really find a career that brought her fulfillment. 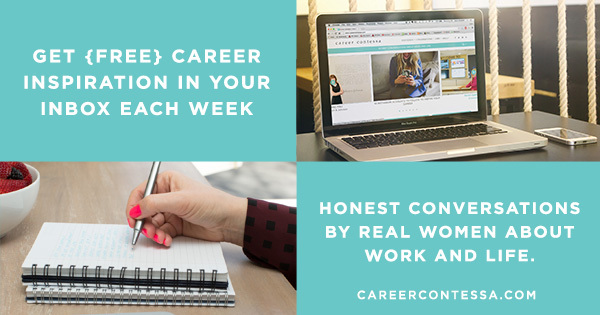 Career Contessa was created to provide a resource for ambitious women like her to find honest and realistic conversations to guide their own careers. From our weekly Contessa features that highlight how to achieve professional success, to our advice and how-to articles, we work to offer women the tools they need to find fulfillment in work and life. AJF: I love reading all about the work and life of "Contessas," the career women featured on the site. It is such fun and a great way to find direction in your own career! What is your favorite piece of advice from a Contessa? SM: Contessa features are so much fun because every woman has a unique story to share. 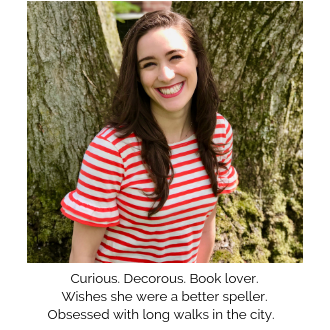 One of my favorite pieces of advice comes from our Contessa Amanda Doss at KIND who said, "That's part of the excitement in life; take chances and push yourself into an uncomfortable zone because those can be the most fruitful times when you learn and grow the most." I think we all need to learn how to live in our own "uncomfortable zone" and really challenge ourselves in work, and in life, to achieve more than we think we can. AJF: Most of the readers of this blog are college women who are still figuring out what they want to do and get out of life; what can they find on CC to help them as they are just starting to think about their career? SM: I think one of the great things about CC is that we have conversations for women at all points in their career. For those entering the postgrad world and looking for their first job, we have great articles that tackle the sticky subjects like how to talk about salary in your interview as well as our series on Companies with the Best Perks for Women that allow recent grads to explore new companies and locations they may not have considered before. One of my favorite free perks is our monthly webinar series with Lauren that offers classes on how to double your job leads or turn your internship into a career! For women who are still new to their careers, we offer great tips like the dos and don'ts of office email, or how to make friends in a new city. We try to cover the tricky career questions that you can't find anywhere else, as well as social pieces that are fun and relevant—because sometimes it is hard to get your dream career back on track, or make friends in the office. We understand that, and we want to help. AJF: A concept which is constantly being discussed is "work/life balance." Can you describe how CC takes a different approach? SM: At CC we believe less in a "work/life balance" and more in work/life fulfillment. The truth is, these days you don't work a 9-5 and then leave everything on your desk at the end of the day. Sure, our jobs are a priority, but so is getting to spin class and making happy hour with friends. The truth is, not every day is going to be a perfect balance. So we learn how to work through our competing demands and make realistic decisions for ourselves and our needs. We aim to offer the advice and clear thinking women need to juggle our priorities and find a lifestyle that actually works. AJF: What can we expect from CC moving forward as you continue to grow? SM: As we continue to expand, we want to share our career resources and advice with more women across the country who we know can take advantage of our mission. Just last week we announced The Women's Career Empowerment College Tour, where Lauren and I will be traveling to over 20 universities across the country in the 2015-2016 school year to share actionable career advice with young women to help them successfully transfer from college to career. We aim to continue with these types of programs and services that offer clear, realistic advice for each woman for where she is at in her career and allow her to find her own version of fulfillment. Thank you to SommerAnn for giving us some great insight! What is the most pressing career question on your mind?